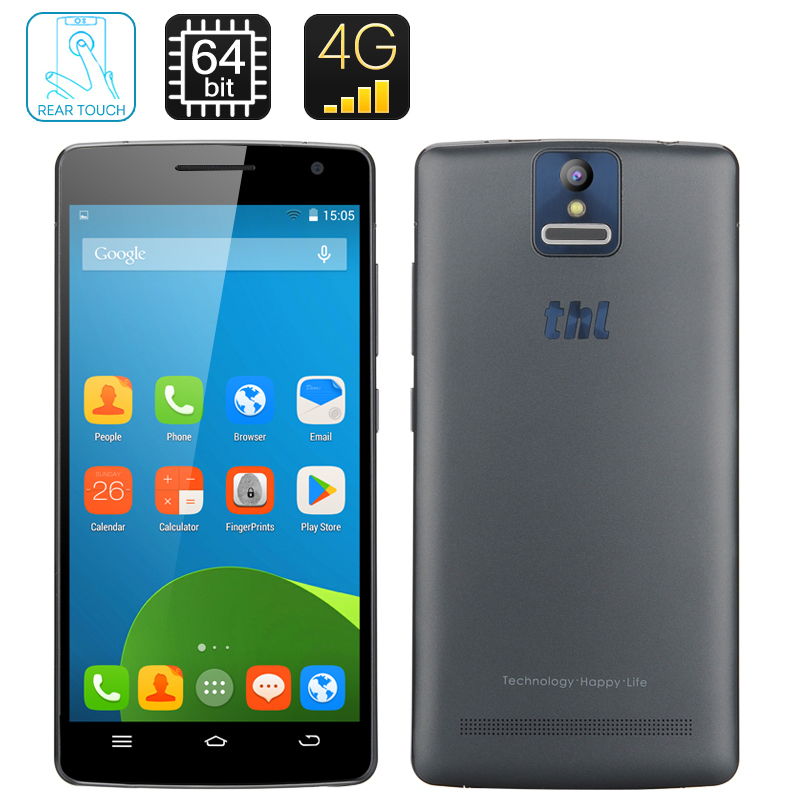 Successfully Added THL 2015 Smartphone - 2700mAh Battery, 4G, 1.7GHz Octa Core MT6752 64 Bit SoC, 5 Inch 1080p Display, Fingerprint Scanner to your Shopping Cart. The THL 2015 Smartphone with a 2700mAh Battery, 4G Support, a 1.7GHz Octa Core MT6752 64-bit SoC, a 5 Inch 1920x1080 Display, a fingerprint scanner and 2GB of RAM. The THL 2015 is one of the new generations of Chinese manufactured smartphones that features the new octa core MediaTek MTK6752 64 bit processor. This octa processor is capable of reaching speeds of up to 1.7GHz to provide a fantastic performance every time you use it, plus there is 2GB of RAM backing it up. 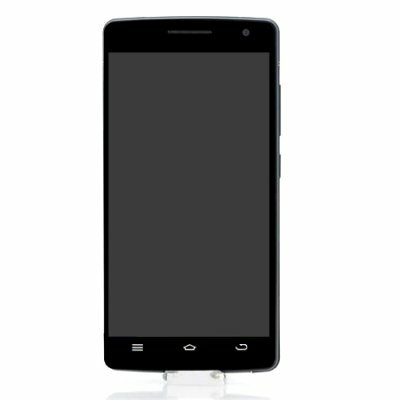 Android 4.4 KitKat comes in the stock version format when you purchase this octa core smartphone so you can activate Google Now by simply saying "OK Google"and there is also better memory management. Talking of batteries, this THL Android smartphone has a large 2700mAh to provide ample amount of usage time that will easily last you the day. 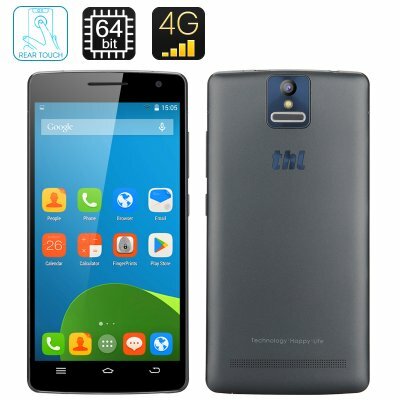 In terms of connectivity, this is a dual SIM device with both SIMs supporting 4G LTE FDD-LTE B1/B3/B7/B20 bandwidths as well as 2G GSM 850/900/1800/1900MHz and 3G WCDMA 900/2100MHz. Connect peripherals such as a keyboard or a mouse to this smartphone as it supports OTG, therefore making it more user-friendly and convenient to use. Above the display is an 8 megapixel front camera while a 13 megapixel sensor lives on the rear above a fingerprint scanner. The fingerprint scanner is something new and is a cool and an extremely safe way to access your phone’s content. No longer will you have to remember your password as your fingerprint is the only identification you will need to access your phone. This product is in stock now, we guarantee next working day shipping and offer a 12 months warranty on all our products. Brought to you by the leader in electronic devices as well as wholesale THL smartphones, Chinavasion. Looks good, nice options, nice camera. But, lots of languages. You have Danish but no Swedish, sorry I will wait.